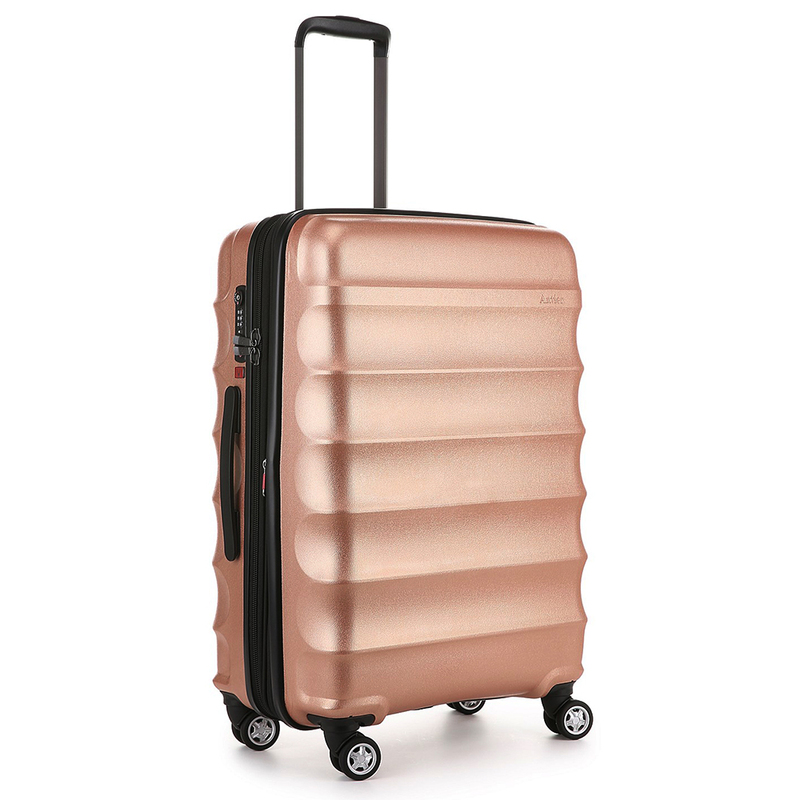 Building upon Antler’s wildly popular Juno range, the British luggage pioneer has returned with their most sophisticated collection of spinner cases yet – Juno Metallic DLX. 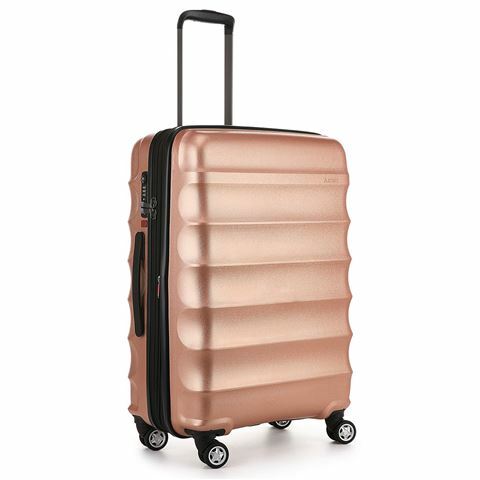 Evolving from the features of the beloved original range with an updated metallic exterior, all cases in this collection feature a lightweight construction, making it easier to get around, and are crafted with a super-strong polypropylene case that will protect your belongings during transit. Each piece is equipped with four lightweight double spinner wheels that are colour-matched to your case, while the in-built TSA-compatible combination lock provides you with peace of mind. Sleek, stylish and packed with Antler’s usual smart features, Juno Metallic DLX encompasses everything you need in a case. Four lightweight double spinner wheels for ease of movement. Main compartment opens up to reveal a zippered fabric divider with two zippered mesh pockets for organisation. Main compartment also features an additional small zippered pocket as well as packing straps to maximise space. Small ID tag on the rear of the case. External Dimensions: 46cm (l) x 68cm (h) x 28.5/31cm (w).